The OMEGA TI-400 series of thermal imaging cameras are rugged, durable, accurate and portable, and are capable of current equipment diagnostic tasks. They also pioneered the integration of thermal imaging cameras and mobile phones into thermal imaging data terminals that meet the needs of more application scenarios. The primary use of the thermal imager is to diagnose the potential defect when the device is running online. 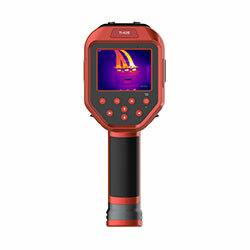 OMEGA TI-400 series professional thermal imaging cameras are suitable for equipment inspection under severe conditions. ±2? or ±2% whichever is greater @ Environment Temperature 10?~35?